Risk of Rain: Das sind die Systemanforderungen zum Spielen! Startseite » Unterhaltung » Spiele » Risk of Rain: Das sind die Systemanforderungen zum Spielen! Läuft Risk of Rain auf deinem Computer? Schaue dir jetzt die Anforderungen für deinen PC an um das Spiel von Hopoo Games zum laufen zu bekommen. Wir zeigen dir in einer einfachen Übersicht die Voraussetzungen um Risk of Rain auf deinem Rechner installieren zu können. Risk of Rain is an action platformer with roguelike elements. With permanent death as a primary feature, players will have to play their best to get as far as possible. 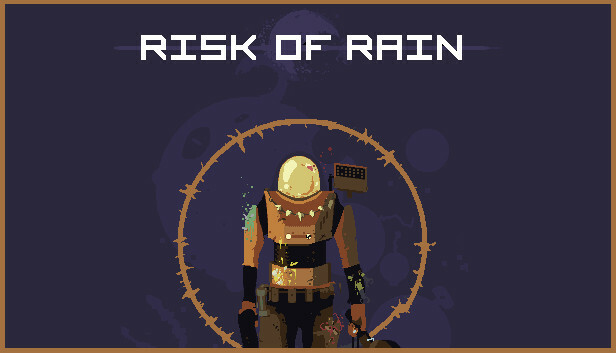 Fight on a mysterious planet with randomly spawning enemies and bosses, either alone or with 3 friends in online co-op.. Risk of Rain ist ein Action Spiel von Hopoo Games. Veröffentlicht wurde es am 8. Nov. 2013 von Chucklefish. Engage in local and online multiplayer with friends and other players from around the world! Play and unlock 12 unique characters, from the Commando to the Miner to the Engineer. Fight through hordes of different enemies and bosses, randomly chosen by the game with random abilities and powers. Get lost and discover 10 massive levels with different enemies, shrines, and chests on each one! Recruit the help of a wide variety of drones, from missile drones to healing drones! Unlock the lore of the game through the item and monster logs! Unlock new items and characters through difficult achievements to keep the game fresh with each playthrough. Save your best highscores and stats!